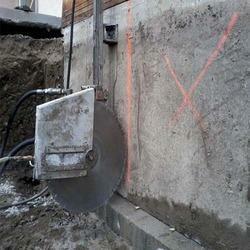 Prominent & Leading Wholesale Supplier from Pune, we offer wall and slab cutting services. Tickness Of Cutting 1" to 16"
Our company is one of the few names that offer premium quality Wall and Slab Cutting Services. It is essential for ventilation ducts, lifts sharks, escalators and separation joints and suited to be performed prior to demolition. It has fetched high appreciation and repeated demands in the market. These services are rendered by expert professionals in a timely manner. Looking for Cutting Services ?